dsafWhen we decided to sell our home, Kelly was our choice. He worked with us for the previous 10 years to keep our home rented while we lived in Brussels, Belgium. We met with him in February 2016 to discuss our options and a plan to sell our home. We asked for advice on upgrades needed, a timeframe for completion and when we should put a sign in the yard. Kelly helped us find a contractor, set up appointments to order supplies and start work. The outside work was completed while the tenants were still there and In April, we began working on interior upgrades. Kelly stopped by nearly every day to see our progress, make calls to suppliers on our behalf and offer friendly advice. We planted a For Sale sign in the yard on 15 April at 6pm. On 16 April, at 2 pm, while we were checking in at the airport, we got a call from Kelly. He had a firm offer on our house for $5,000 more than we had asked! His knowledge of our home, the market, and closing requirements helped complete the deal in 6 weeks. Kelly is the only person we will refer to anyone interested in buying or selling a home. 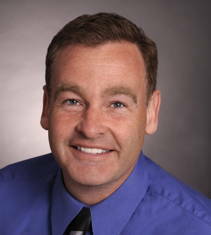 Jimmie B.
Kelly has been my realtor for several years through multiple real estate transactions. I have relied on Kelly's knowledge of the Washington D.C. markets and his negotiation skills to successfully complete multiple real estate transactions. What stood out to me is the fact that Kelly treats me as a friend and is willing to go above and beyond his regular responsibilities as a realtor. On one instance he was willing to roll up his sleeves and help with housekeeping to fill in during my absence to ensure that the home shows really well. He is available when you need him and always follows up for you. Call him or meet him just once and you will understand why he is right for you. He was and is the right agent for me. Gopal R.
I recently bought a house using Kelly as our realtor. He knows the Northern Virginia area extremely well as he has lived here his entire life. As a realtor, he is extremely patient, knowledgeable and responsive! We really could not have asked for a better individual to help us buy a home! I highly recommend Kelly! Hope B.
Kelly helped my wife and I with the purchase of our first home some 19 years ago. Kelly landed an amazing deal for us, and that start up home has ended up being our life long home because of the tremendous Appreciation of the property! Kelly is the Best! Greg J.
Kelly is the ultimate professional. Not only did he find the perfect home for our family but he negotiated a deal even better than we anticipated! His longevity and knowledge of Northern Virginia cannot be surpassed. Greg and Gail J. 5 stars because they don't have 10!! Most professional, respectful and thorough realtor I have ever used or dealt with. I felt completely confident with Kelly's advice, insight, knowledge and suggestions. He steered me clear of two houses that I desperately wanted, both were hidden money pits! I was traveling from out of the area and he made time to work around my schedule. If you are a fed Relo, he knows the entire program and is an excellent guide for the program. I truly cannot say enough to accurately depict how impressed I was and how highly I recommend him. God Bless. Steve P.
Working with Kelly was truly a pleasure. He came highly recommended to us, and lived up to the hype. He sold our Fairfax townhouse in 2016. We were in California, and he worked tirelessly on our behalf to ensure the process was smooth. He has a tremendous amount of knowledge about the local real estate market, and consistently provided valuable advice to us. He has an extremely pleasant demeanor, and is readily available at all times of the day. He was always responsive to our questions. Even with the time difference between California and Virginia, he would make himself available late into the night if necessary to answer questions and address time sensitive issues. Lastly, Kelly consistently exhibited selflessness. He never put pressure on us, and always made sure our concerns and needs were addressed. I don't often write reviews, but do so in this case enthusiastically. Kelly is a true professional, and someone that I would recommend whole heartedly and without hesitation. Jesse B.
Kelly is awesome!!! Honest, personable and knowledgeable. When the time come to sell and buy again we will without a doubt be calling Kelly. He anticipated our needs, and was very flexible! And great conversations and fun to be around as we drove from house to house. We highly recommended Kelly! Kelly has assisted me in purchasing two houses and selling one. And in all transactions, has nothing been short of impressive. His knowledge about the real estate industry is outstanding. His willingness to help me with the entire buying or selling process has always astounded me. If you want a real estate agent that will truly be a 100% on your side, Kelly is the man. Aldrin S.
I have worked with Kelly ever since I moved to DC. He did a great job finding me a condo and later, when I needed a bigger space for my family, he was great helping us find a house and helping us sell our old place. We highly recommend Kelly. Ed D.
Kelly assisted me in finding a home when I relocated. Being born and raised in the area gave him an advantage of knowing the local market and neighborhoods. He was very patient, knowledgeable, professional and friendly. He listened to my needs, desires and concerns and found the perfect home for me. I highly recommend him and will use him in the future. Veronica A.
I was referred to Kelly through a trusted friend. I was a first time home buyer with little to no knowledge on how the purchasing process works. I had several questions and concerns and Kelly was very patient and responsive. I never felt pressure or uncertainty during the process. For such a large and stressful decision in life, Kelly made this seamless and easy. I will be using Kelly for any further real-estate needs and would highly recommend him to others. Maryjane S.